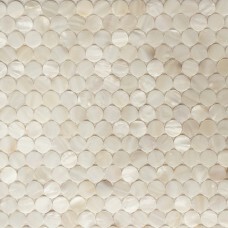 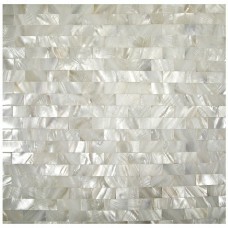 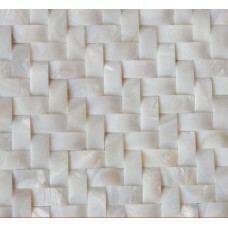 100% natural mother of pearl tiles! 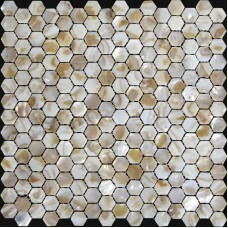 100% natural pearl tile! 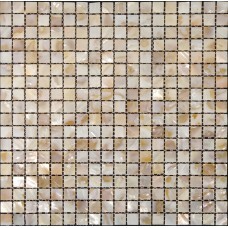 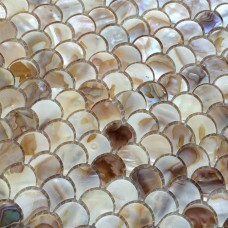 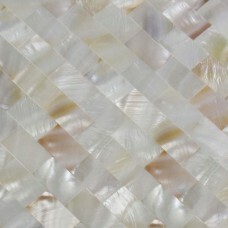 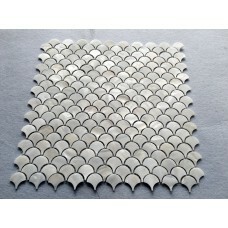 Bravotti.com offers the most selected mother of pearl tile, committing to providing the best quality shell mosaic tiles products at the best prices in the market. 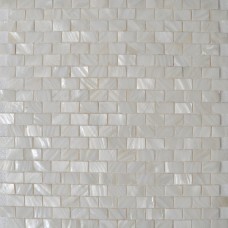 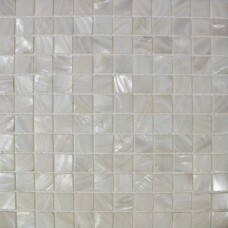 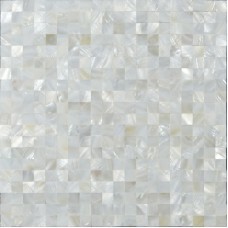 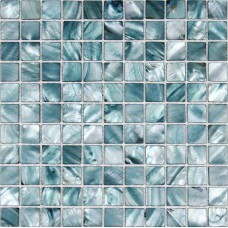 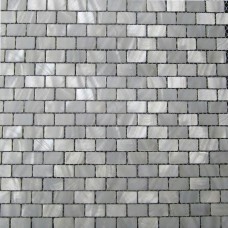 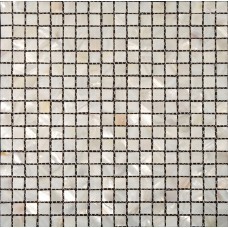 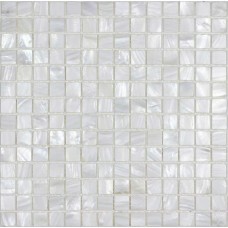 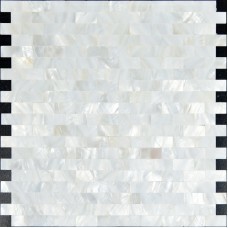 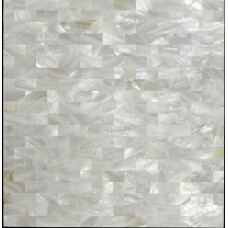 Bravotti.com has served more than 200,000 customers in North America with premium quality mother of pearl tiles. 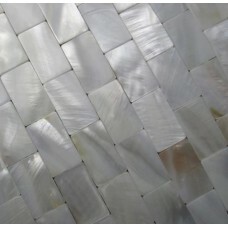 White mother of pearl shell tile subway seashell mosaic sheets bathroom mirror wall tiles kitchen backsplash cheapSheet Size: 300x300mmChip Size: 15x30mmThickness: 2mmShape:.. 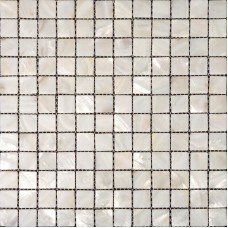 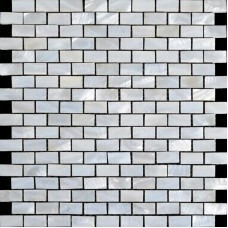 Mother of pearl tile backsplash fresh water shell mosaic subway tiles wall kitchen design natural seashell tiling floorSheet Size: 300x300mmChip Size: 15x30mmThickness: 2mmShape:..
Sheet Size: 300x300mmChip Size: 15x25mmThickness: 2mmShape: RectangleUsage: Backsplash & WallColor: WhiteSold by: SheetFinish: Glossy, easy for cleaningStyle:.. 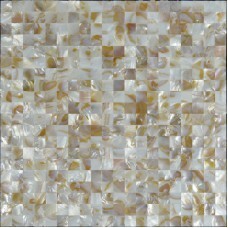 Shell mosaic tile subway mother of pearl tiles backsplash for kitchen and bathroom floor tile mosaics natural seashell materialsSheet Size: 11.7x11.6 In. 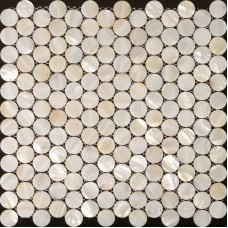 (297x295mm)Chip..
White mother of pearl shell tile round seashell mosaic sheets bathroom mirror wall tiles kitchen backsplash cheapSheet Size: 300x300mmDiameter: 20mmThickness: 2mmShape:.. 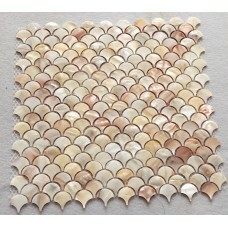 Mother of pearl tile floor sticker natural seashell mosaic tiles backsplash kitchen design fresh water shell sw00251 wall sheetSheet Size: 318x318mmChip Size: 25x25mmThickness:.. 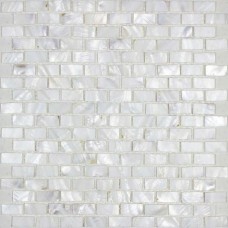 Shell mosaic sheet subway tile backsplash kitchen design mother of pearl natural seashell bathroom mirrored wall tilesSheet Size: 311x318mmChip Size: 15x25mmThickness: 2mmShape:.. 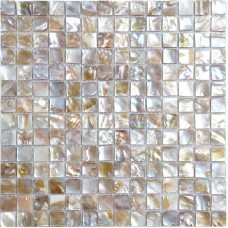 Shell mosaic tile wall mother of pearl tile backsplash kitchen subway fresh water natural seashell tiling floor stickerSheet Size: 300x300mmChip Size: 15x30mmThickness: 2mmShape:..
White mother of pearl shell tile square seashell mosaic sheets bathroom mirror wall tiles kitchen backsplash cheapSheet Size: 300x300mmChip Size: 25x25mmThickness: 2mmShape:..
Chip Size:3/5"x1-1/5" (15mmx30mm), Sheet Size:12"x12" (300mm*300mm), Thickness:2mm, Collection:seamless shell tiles, Application:kitchen backsplash, bathroom, shower,.. 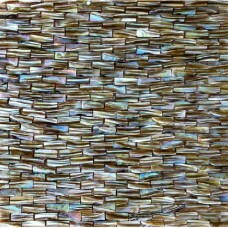 Mother of pearl irregular mosaic backsplash natural shell materials seashell wall tiles for kitchen and bathroomSheet Size: 300x300mmChip Size: RandomShape: IrregularUsage: Floor.. 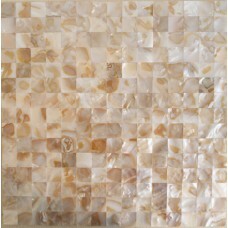 Mother of pearl shell tile backsplash kitchen design ideas natural seashell mosaic tiling bathroom tiles floor stickerSheet Size: 305x305mmChip Size: 20x20mmThickness: 2mmShape:..
shell tile sheets subway fresh water mother of pearl mosaic natural seashell tiles mirrored wall kitchen backsplash designSheet Size: 11.8 x 11.8 In. 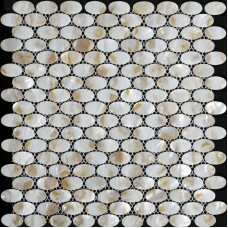 (300x300mm)Chip Size: 3/5 x..
White mother of pearl shell tile ellipse seashell mosaic sheets bathroom mirror wall tiles kitchen backsplash cheapSheet Size: 280x297mmChip Size: 18x32mmThickness: 2mmShape:.. 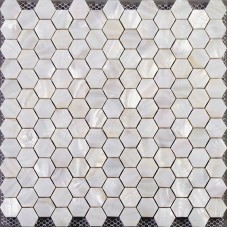 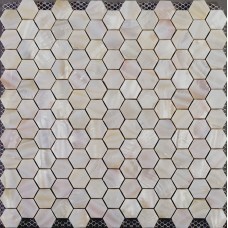 Mother of pearl hexagon mosaic backsplash white natural shell materials seashell with base wall tiles for kitchen and bathroomSheet Size: 300x300mmChip Size: 25x25mmThickness:.. 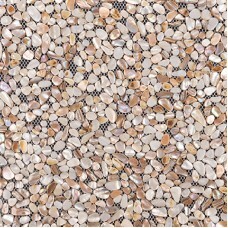 Mother of pearl tile 4/5 inch kitchen backsplash cheap penny round shell pearl tiles shower mosaic MC01 natural seashell deco mesh bathroom wall tileSheet Size: 300x300mmChip.. 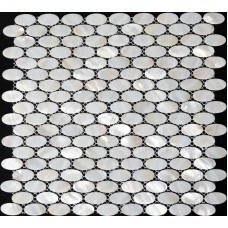 Mother of pearl tile backsplash fresh water shell mosaic square tiles wall kitchen design natural seashell tiling floorSheet Size: 300x300mmChip Size: 15x15mmThickness: 2mmShape:.. 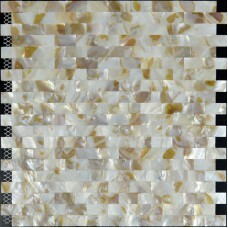 Shell mosaic tile wall mother of pearl tile backsplash kitchen subway fresh water natural seashell tiling floor stickerSheet Size: 300x300mmChip Size: 10x30mmThickness:..
Chip Size:3/5"x3/5" (15x15mm), Sheet Size:11.8"x11.8" (300x300mm), Thickness:2mm, Collection:seamless shell tiles, Application:bathrooms, spas, kitchen backsplash, wall facades,.. 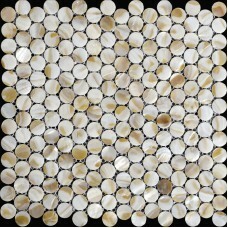 Diameter: 4/5" (20mm), Sheet Size: 12"x11.7" (306x298mm), Thickness: 2mm, Collection: shell mosaic tiles, Application: kitchen backsplash, bathroom, floor and walls, Color /..
Natural shell mosaic floor tiles bathroom freshwater mother of pearl tile backsplash ideas kitchen wall tiles design patternsSheet Size: 300x300mmChip Size: 20x20mmThickness:..
Chip Size:3/5"x1-1/6" (15x30mm), Sheet Size:12"x12" (305x305mm), Thickness:2mm, Collection:seamless shell tiles, Application:kitchen backsplash, bathroom, shower, spas,..
Sheet Size: 298x298mm, Thickness: 2mm, Collection: Shell Mosaic Tiles, Shape: Ellipse, Mosaic type:Sheet, This mosaic tile is mesh mounted on high quality fiber glass, easy..
Chip Size:1"x1" (25mmx25mm), Sheet Size:305mm*305mm, Thickness:2mm, Collection:painted colorful shell tiles, Application:kitchen backsplash, bathroom wall, shower, Color /..
Chip Size:20mm*20mm, Sheet Size:305mm*305mm, Thickness:2mm, Collection:shell mosaic tiles, Application:wall mirror, table top, bathroom shower, Color / Finish:natural shell smooth.. 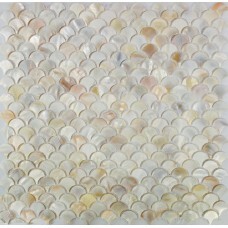 Shell mosaic tiles wall mother of pearl tile backsplash kitchen design fresh water natural seashell floor stickerSheet Size: 300x300mmChip Size: 15x15mmThickness: 2mmShape:..